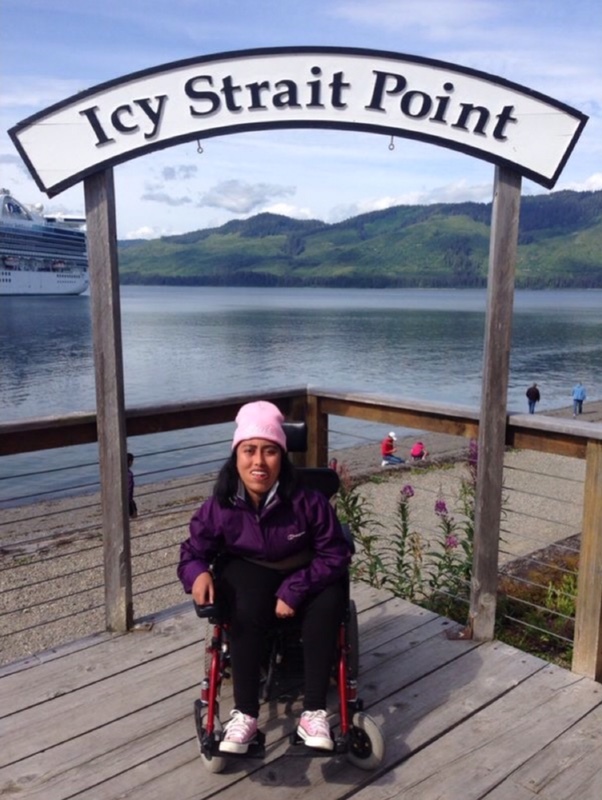 Having almost reached the last phase of Jaini’s Alaskan Chronicles, I was determined to make the most of our last stop at Alaska’s Icy Strait Point. Numerous visits to the cruise excursion desk revealed that Icy Strait Point did not have a cruise dock, so the ship would anchor and tender boats would carry passengers to and fro between the island and the cruise. The lifeboat tenders do double duty, serving as tenders in day-to-day activities, but fully equipped to act as lifeboats in case of an emergency. I was warned beforehand that I might not be able to go ashore if the rough sea did not allow the roll-on ramp for the tender. Because of this uncertainty, my mom took the rest of the group whale-watching, while dad and I decided to emerge later from the ship if I could get on to the tenders. Luckily, I managed to get on to the tenders and we were ashore within a couple of minutes. 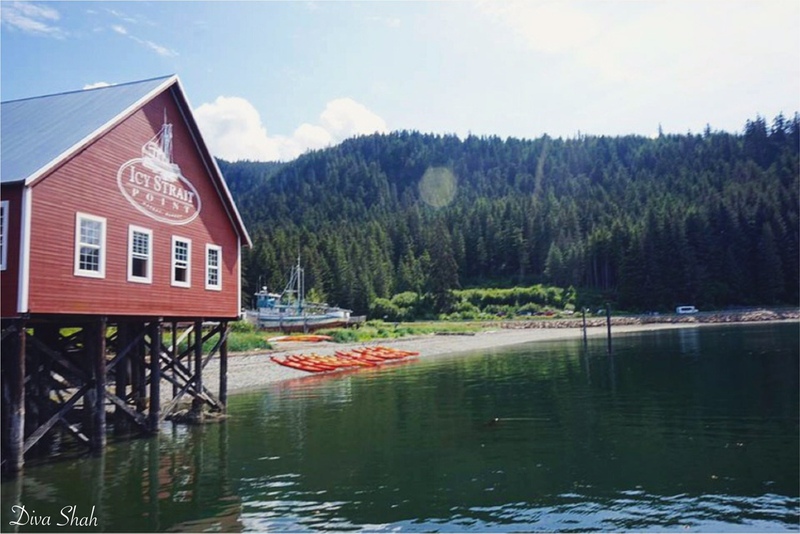 Icy Strait Point is a private-owned cruise ship docking station that is nestled next to Hoonah, the largest Tlingit village in Alaska at the base of White Alice Mountain on the Chichagof Island. Icy Strait Point is quite small compared to the towns that we had visited. Hoonah was a short walk away and many of the activities were a short ride away. In 1912, the Hoonah Packing Company built a huge salmon cannery that operated on and off for several years till it was shut down. Now much of the original 1912 cannery equipment has been restored and is an extension to the large and only gift store. Once we got off the docks, we ventured into the Cannery Museum that was right at the docks, and enjoyed looking at the fish-processing paraphernalia and learnt some of the most unusual facts about the state of Alaska. FUN FACT: Alaska’s longest day starts on May 10 and lasts three months, while its longest night starts on November 18 and lasts two months. This, however, only applies to certain parts of this enormous state. After walking through the gift shop, my dad and I ventured to the nearby beaches, walked past the cutest little cottages that looked like they were out of a fairytale. We entered the only restaurant and bar in Icy Strait Point for some warmth and of course to access the free Wi-Fi. Unfortunately, the Wi-Fi was down (YES! I’m a Wi-Fi addict) so we went back to the dock area and waited for the rest of the group, taking in the peaceful ocean views. Once the group was back, we bought a few snacks from the nearby shop and decided what to do next. My sister and cousin, being the adrenalin enthusiasts they are, exclaimed they wanted to go zip-lining again. This time, they dragged my mom on the world’s largest zip-line: 5,330 feet long, 1,300 foot vertical drop at a maximum speed of 60 mph. 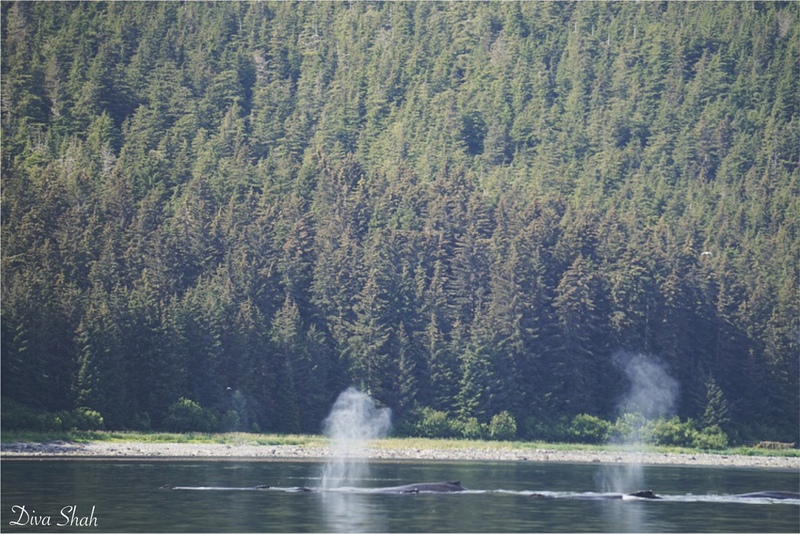 While listening to their whale-watching stories, I felt urged to go see these magnificent creatures for myself. After a quick discussion with the tour operator, my dad, my cousin and I opted to go whale-watching on the Whale And Marine Mammal Cruise. The boat itself was wheelchair accessible and I got to sit in the front with ample viewing space. However, I was unable to out in the open, but it was win-win because it drizzled and I hate getting wet! 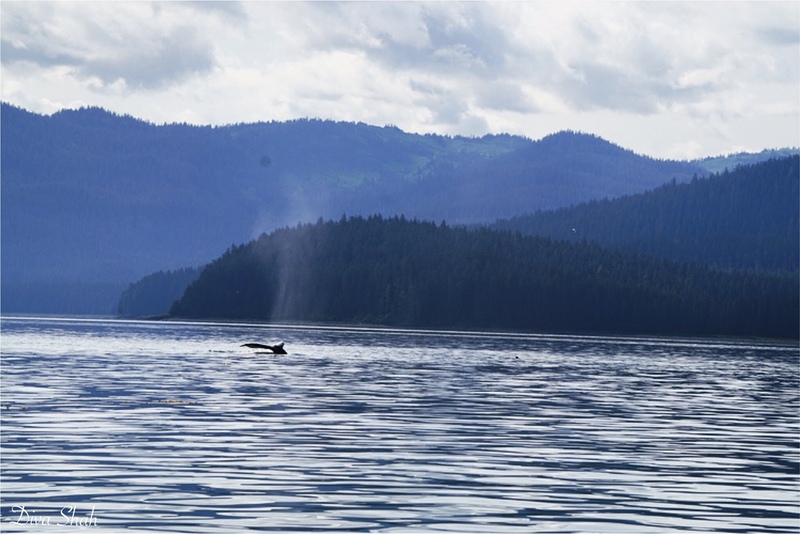 The sightseeing vessel took us 17 miles out to the Point Adolphus feeding area, a prime feeding ground for humpback and orca whales. A zoologist on board gave an insight on their habitat and behavior. We even managed to spot a few sea lions. These diverse marine animals gather in the nutrient-rich Alaskan summer waters to feed (krill and small fish, eating up to 1.5 tons 23 out of 24 hours a day) before going back to the pacific Hawaiian waters to breed. 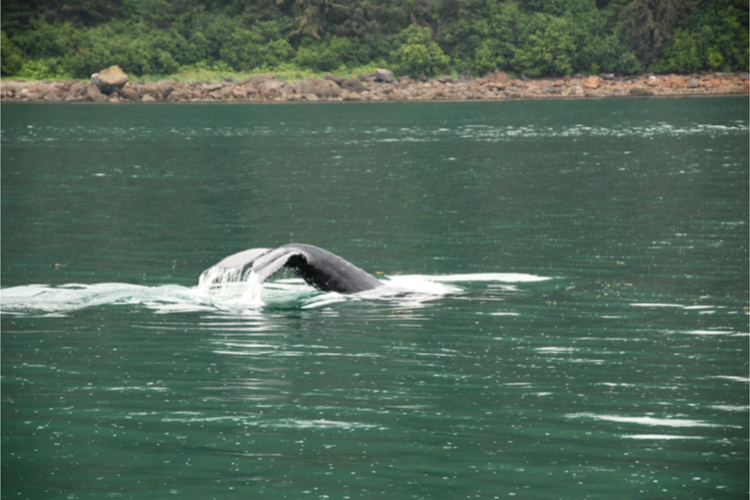 We also learnt that Humpback whales are acrobatic creatures. In order to propel themselves in the water, they breech their 40 tons completely out of the water using their massive tail fin or ‘fluke’. HINT: The whales are so plentiful at Point Adolphus that you get a refund of $100 ($50 per child) if a whale is not spotted on the trip. Make sure you don’t miss this, because the whales are guaranteed and it is an experience like no other. The entire voyage was smooth and we were even offered to some local Alaskan chocolate to try (I would probably do anything for chocolate). I was thrilled I got to enjoy this out-of-the-world experience. 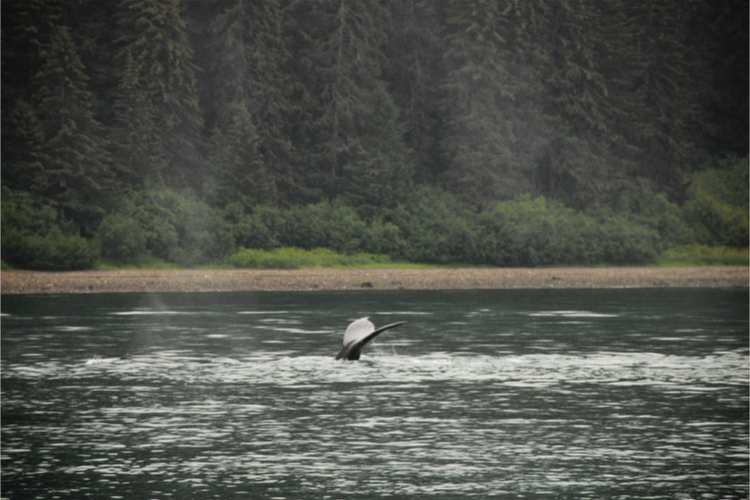 There’s nothing like watching these giant mammals glide smoothly in and out of the water. It reminds us of how small we are in the larger scheme of things. Other activities offered at Icy Strait Point, that we didn’t opt for due to time constraints, included visiting the Native Heritage Center Theater where one could watch Tlingit dancers enact their tribal heritage through song, dance and storytelling. Another popular attraction was bear watching where groups of people are taken on guided trails to spot black and brown bears; however my mom managed to spot a bear and her cub in the forest. Once we got back from whale-watching, we quickly headed to the only bar in Icy Strait Point to have a quick drink, before leaving The Last Frontier! I have just recently heard about Hoonah Alaska and am kind of on an internet searching craze right now. It just sounds like such a great place to have an adventure and I am glad that it went so well for you. Especially getting out of the rain, I heard they get 200 inches every year. 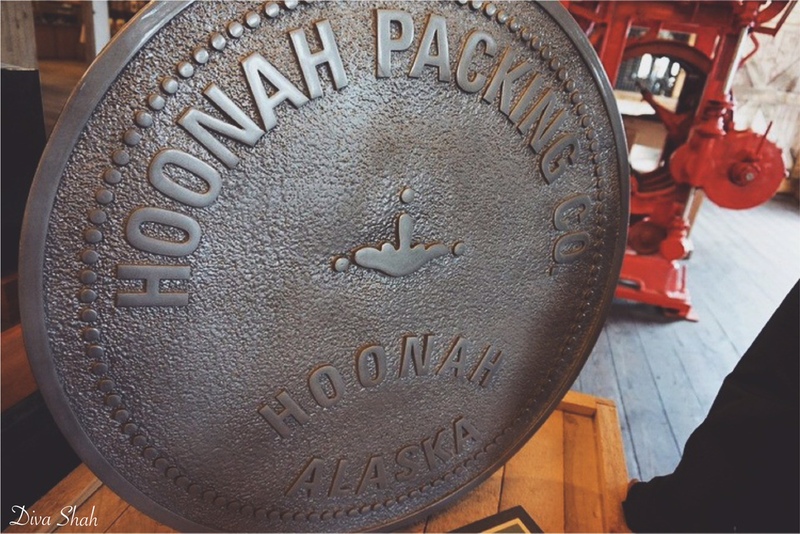 Hoonah is now on my bucket list and sounds like a great place for whale watching or just regular sightseeing. So, Thanks a million for posting your adventure there! It’s a little different from the usual cruise stops in Alaska. But I’d recommend it for whale-watching, which you can do elsewhere but then time is a factor, especially on cruises. The rain shouldn’t bother you, as it will rain and then stop. And then rain and then stop. Thanks! One of the reasons I think it would be great to go is because it is not one of the cruise ship traveled routes. Trips are almost always better when you beat the crowds. Well, we technically stopped at Icy Strait Point; Hoonah is nearby. But definitely do whatever suits you best. I preferred the cruise due to the wheelchair access!